If you have not accessed billing system before you will need to create an account. Browse to https://securecare.recurly.com/ and then select the “Create an account” link. After submitting your email address you will receive an email to complete set up. Once you’ve created a password you’ll be able to log into your account. The email will come from noreply@sfax.j2.com. If you do not see this in your inbox please check your junk and spam filters. 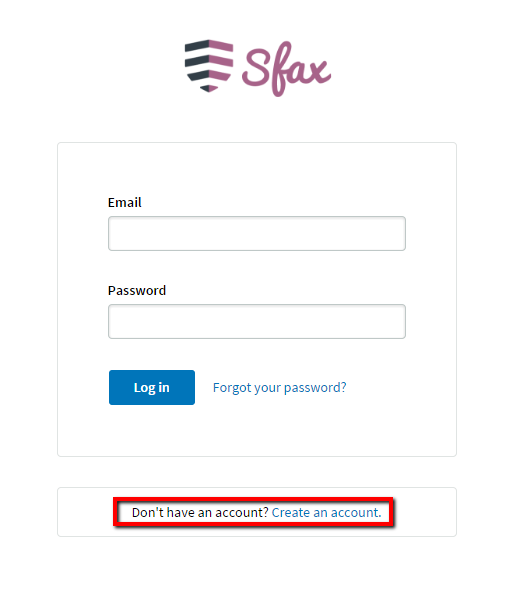 If you do not receive this email please add noreply@sfax.j2.com to your safe senders list and then attempt to create an account. nce you have successfully created your account you will be shown the Account Information page. From this page you have the ability to review invoices and update billing information. The Subscription area shows the plan that you signed up for, the status of your account, the cost of your plan, and when you will next be invoiced. 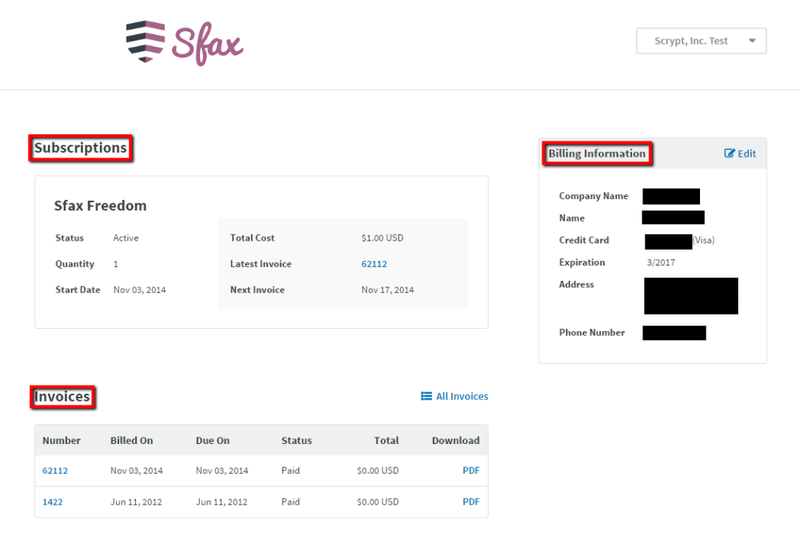 The Billing Information portion shows the name on the credit card used. The last four digits of the credit card will be displayed as well as they type (Visa, MC, etc) of the card provided. 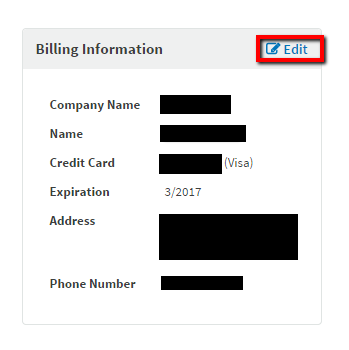 The expiration date of the card, the billing address associated with the card, and the phone number will also be displayed. After making changes to your Billing Information you will be taken to the Account Information screen and see “Successfully updated your account’s billing information” and under the Billing Information this will display the updated Billing Information. The Invoices area will display your most recent invoices. You can select the invoice to see further details. After you have selected the invoice you are also presented with the ability to view this as a PDF and from there have the ability to save or print the invoice for your records.